We are here today on behalf of the sisters and brothers of Franconia Conference. We are here today to remind you that you are not alone. We are in this together. 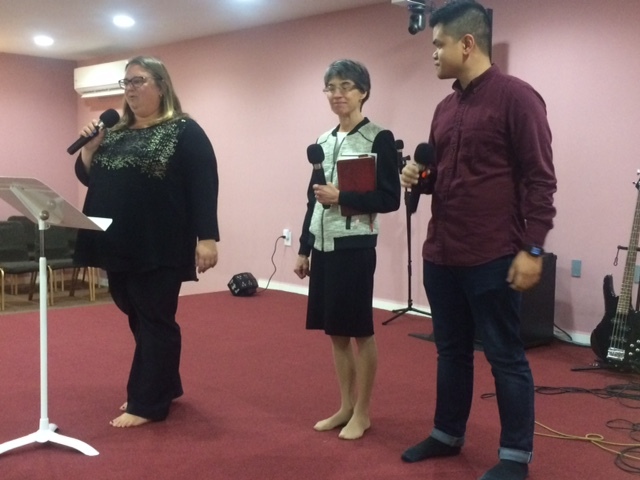 Our commitments to your congregation are un-wavered. We will walk through this time together…We are here with love, to recognize that you might be feeling particularly vulnerable. We do not have all the answers. We do have the words that the Bible repeatedly says, “to not be afraid.” We recognize that those words can seem hollow, without a real sense of support. We are here today to offer that support, to make sure that you know that you are loved. That the God who promises to not leave us is with us for sure. But that we are also in this time together. Your pastors and leaders have access to Conference staff for questions, for support. Other persons in Franconia Conference congregations have already begun to ask how they can support you in prayer and in other more tangible ways. In the meantime, we are committed to being part of the work that God has begun with us. We will seek the peace of the city, and of this land where God has sent us. We want to offer a prayer with you…that God might keep you in perfect peace. 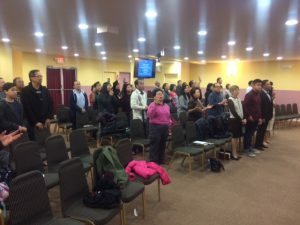 Pastor Aldo Siahaan, Philadelphia Praise Center, stated that their presence and words reminded him and his congregation that they are “part of a big family” and it made them feel cared for. As this time of uncertainty moves forward, ways to express support can be through prayer, words of encouragement to the leadership of the congregations, visiting their worship times and taking part in activities the communities host. Become informed about immigration laws and offer a voice for our brothers and sisters with legislatures. 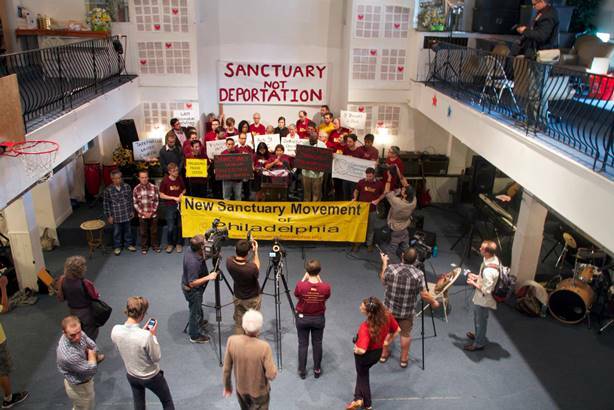 Support New Sanctuary Movement and maybe even have your meetinghouse become a sanctuary. “When a stranger sojourns with you in your land, you shall not do him wrong. You shall treat the stranger who sojourns with you as the native among you, and you shall love him as yourself,” Leviticus 19:33-34a.